Permissible air speed 20 m/s. 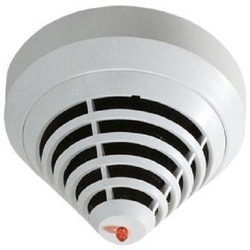 The 420 Series Automatic Fire Detectors offer a superb accuracy as well as detection speed and precision. The versions with dual-optical sensor (DO-detectors: FAP-DO420, FAP-DOT420, FAP-DOTC420) are able to detect lightest smoke (TF1 and TF9). These detectors provide all advantages of LSN improved version. The addressing of the detectors can be configured with the integrated turning switches. Thanks to the modular configuration, the innovative FPA‐5000 Modular Fire Panel easily adapts to local circumstances and regulations. 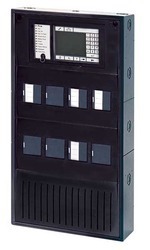 Due to the different functional modules, country-specific characteristics are accommodated in the connection just as quickly as the respective alarm handling. Frame installation housings which are fitted to the mounting frame and can be swiveled. With the aid of special mounting kits, the housings can be mounted in 482.6 mm (19") cabinets. All housings can be extended with various additional housings for all conceivable applications. The operation and the processing of all messages are easy and intuitive thanks to the ergonomically- designed control panel with its TFT touch‐screen offering a menu-driven handling and multi-color display. To that end, there are permanently located keys on the right, bottom, and upper edge of the display as well as variably located virtual keys in the touch-screen area. Due to its modular structure, the FPA‐5000 Modular Fire Panel provides complete flexibility and thus customized solutions for any application. The functional modules are autonomous, encapsulated units that can be inserted into any control panel slot using "plug-and-play" technology. Thus, the power supply and the data traffic to the control panel are indicated automatically without any additional settings. The module is automatically identified by the control panel and functions in the default operating. Wiring to external components is performed using compact connector/screw terminals. After a replacement, only the connectors need to be reinserted; extensive rewiring is no longer required. defined as network node or local node. Within a group, only panel conditions of the same group can be displayed. Regardless of the groups, network nodes allow for the display and handling of all panel conditions. Local nodes display the conditions of the related panel. The Address Cards activate detection points. The FPA‐5000 governs up to 4096 detection points. Each element and input which, after the programming, is able to set off an alarm requires a detection point. Inputs are considered as detection points if they are programmed accordingly in the FSP‐5000‐RPS Programming Software. Connection conditions for the regional authorities and institutions (police, fire service) must be maintained. It is preferable to use the loop formation owing to the greater security of loop lines compared with stub lines. It is possible to combine LSN interface modules and LSN detectors on one loop or stub line. For a mixed connection of LSN classic elements and LSN improved elements, a maximum of 127 elements are permitted. Existing conventional detectors can be connected to a CZM 0004 A module. A CZM 0004 A module provides four DC primary lines (zones).